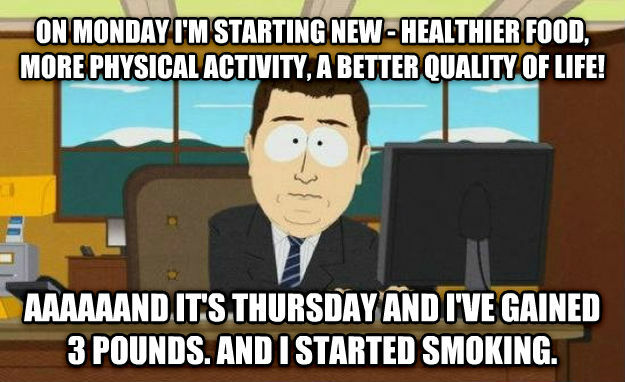 on monday i'm starting new - healthier food, more physical activity, a better quality of life! aaaaaand it's thursday and i've gained 3 pounds. and i started smoking.